The Hill — Since the election of Donald J. Trump, I have dedicated three columns to imagining Africa policy under the new U.S. president. With “imagination” being the operative word, because few hints had been offered up by the president, or by his top advisors during the 18-month campaign, or thereafter. Admittedly, it hasn’t been easy to stay positive. There have been hiccups and misfires. Such as in December, when it was rumored that Trump’s first meeting, as president-elect with an African leader would be with Sassou Nguesso, president of the Congo, a man who had changed the constitution so he could extend his 30-year rule indefinitely. Africa watchers were outraged! The meeting was later cancelled, (or never on the books), depending on who you listen to. Today, however, it appears that there is reason to be guardedly optimistic that the long-standing bi-partisan policy that has guided successive U.S. administrations on Africa, anchored in democracy, respect for human rights, shared threats to security, and private-sector led development, may indeed continue. Tuesday morning, President Trump placed his first phone calls to African leaders since being elected, reaching out to President Muhammadu Buhari of Nigeria and Jacob Zuma of South Africa. They represent two of Africa’s largest economies, attracting thousands of U.S. investors, and whose cooperation is essential to facing shared challenges and threats. These were the right calls to make out of the box, and the conversations, as reported, were on point. 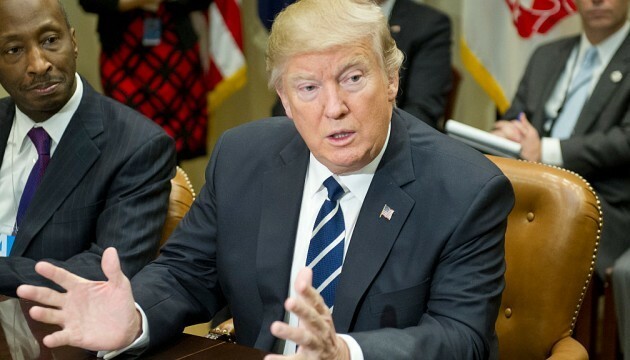 In talking to President Buhari, Donald Trump expressed America’s continued support for the fight against Boko Haram, Nigeria’s militant Islamist group which has caused havoc in Africa’s most populous country. Researchers estimate that between 2011 and the close of 2016, Boko Haram has killed more than 15,000 civilians, in addition to the horrifying kidnapping of 276 Chibok school girls, and regularly deploying children as suicide bombers. This was an essential intervention by the U.S. president, particularly after last week when the White House list of “underreported” terrorist incidents included only a sole reference to attacks in Sub Saharan Africa — at the U.S. Embassy in Chad — and was silent to Nigeria’s suffering against Boko Haram, something that did not go unnoticed on the Continent, particularly in social media. All of this took place in the midst of major shakeup at the National Security Council, where Michael Flynn’s pick for the senior Africa Director, Robin Townley was denied security clearance by the CIA, according to reports. As we look at what’s next, President Trump plans to attend the G-7 Summit in Sicily on May 26, where the focus will be on Africa and Migration. Then, July 7-8, the U.S. president has accepted the invitation of Chancellor Angela Merkel to participate in the G-20 Summit in Hamburg, Germany where the topics will include terrorism, migration and refugee flow, among others. Two meetings with our allies; two formal discussions on Africa. Merkel, and other European leaders, are calling for investing in programs that support youth education and training, and on strengthening economies and the rule of law to support African growth and development, and to stem the flow of migration from its source. This is a long stretch from the White House’s current focus on implementing an immigration ban and reinforcing the border. It looks as if the Trump administration is finally off to a start on Africa. But is there a true appreciation of the importance of Africa to U.S. economic, environmental, health and national security interests? Is there an understanding that partnerships with Africa’s people, its businesses, and leaders make America stronger? We can only hope, and continue to advocate, reminding President Trump that not everyone who disagrees with him is part of “the resistance,” some of us are just trying to help. K. Riva Levinson is President and CEO of KRL International LLC www.krlinternational.com a D.C.-based consultancy that works in the world’s emerging markets, and author of “Choosing the Hero: My Improbable Journey and the Rise of Africa’s First Woman President” (Kiwai Media, June 2016).